Fitbit is one of the original pioneers of the now ubiquitous activity trackers. They’re now on their second generation of the Charge device, and it’s a nice improvement from the original Charge HR. 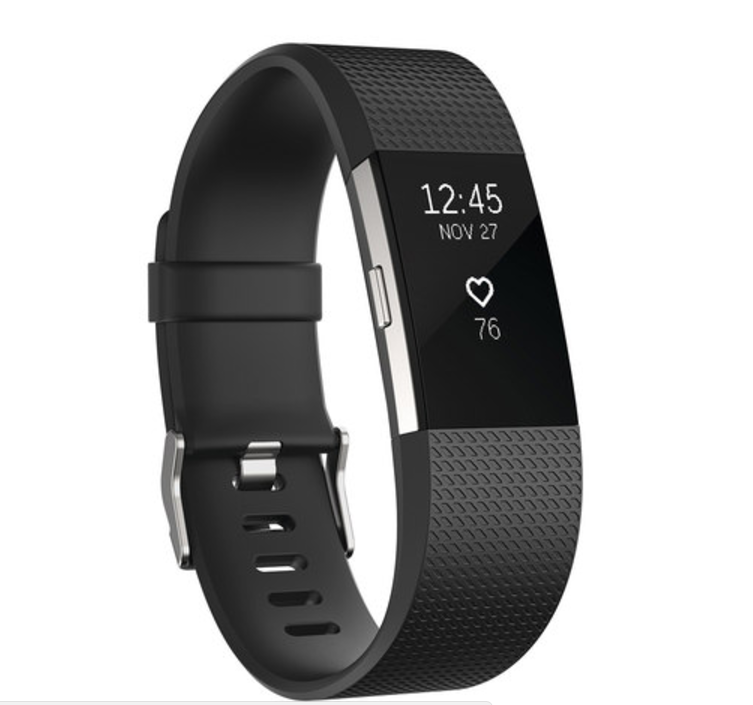 At around $130, the Fitbit Charge 2 will track your daily steps, monitor your nightly sleep, and keep tabs on your pulse rate throughout the day. It offers an easy, mindless way to keep track of your daily activity. Fitness tracking for training runs and hikes. Sharper Display / More Metrics. One of my biggest gripes about the Fitbit Charge HR was the screen was tough to read in direct sun. Actually, it was almost impossible to even check the time when it was bright out. Fitbit made some improvements. First, they enlarged the screen. Which allows the time to be displayed together with how many steps you have taken for the day. Second, they dialed up the technology a bit, and made the screen brighter. Which improves readability during the middle of the day. But, admittedly, it can still be tough to read when the sun is beating down on you. Additionally, you can customize the display to show multiple stats at a time. Whereas before, you needed to toggle through a couple screens to get your steps and your heart rate, now, because of the larger display, you can display date, time, heart rate and steps all on the home screen. Which is nice, because you can flip your wrist up and get all the info you needed immediately. No tapping or toggling required. Mediation / Breathing Feature. I shook my head when I saw this for the first time. Maybe the Lulumon-loving crowd would love this feature, but did I really need to be reminded to be breathe? Did I need a wearable to walk me through this? But, I gave it a try, and honestly, it’s not as worthless as I first thought. It doesn’t hurt to take two minutes every now and again to refocus. Using the vibration feature, it sets a cadence for inhaling and exhaling. Nothing fancy. Just a vibration to remind you when to exhale and when to inhale. I could have used this when I was sitting in a crew haul, staring at an enormous plume of smoke, letting my heart rate rev up to the red line. Improved Battery Life. I was pleasantly surprised by how much longer the battery lasted compared to the Fitbit Charge HR. I have gone almost a week between charges. And that’s on the default setting, with all the bells and whistles turned on, like texts, phone, and calendar notifications. Sleep Tracking. This is one of the biggest improvements over past models. One of the biggest keys to performance improvement is recovery, and sleep is critical in that effort. The Charge 2 offers great stats on the duration and quality of the sleep you’re getting. It is capable of breaking down how many times you were awake, how long you were in REM sleep, deep sleep, and light sleep. Great for monitoring how well you’re doing in the sleep department. IFTT Compatibility. IFTT = If This Then That. In case you’re not familiar, the site exists to make the services that people use more productive by connecting them. Checkout some IFTT ‘recipes‘ you can use with your Fitbit. Touchscreen Responsiveness. At first, I was a bit annoyed by the touch screen’s temperamental moods. Sometimes, it would take multiple taps to activate the screen. Which would annoy me. Then I remembered that I paid $130 for this thing, and I shouldn’t expect this to have the same level of responsiveness as an iPhone screen. You do get what you pay for. Also, the device is supposed to be smart in that it should sense when you motion your arm to look at the device. This feature works about 75% of the time. Which can lead to multiple cases of swinging your wrist up to your face, scowling when the screen doesn’t display, and repeating the gesture. Anyone around you watching this little charade probably will think you’re either mad as a hatter or just irrationally pissed off at the time. Weird Notifications. All of a sudden, you will get a notification to get “250 steps in”. To which I would respond by thinking, “Why?” What the hell is this? You don’t tell me what to do, Mr. Fitbit. Oh no, brotha, that’s not how it’s gonna be. You don’t boss me around.” Then I realized I was getting fired up about a whole lot of nothing, and I turned the notification off, and we’ve been cool ever since. However, if you live a sedentary, sloth-like existence (and if you’re reading this, you probably don’t), maybe being reminded to take 250 steps an hour will help you live to see 50. No emoji support. If someone sends you an emoji or a picture via text, you can’t use your Fitbit to check it out. You’ll be alerted that you received a text, but it won’t show it. Again…if you want / need that functionality, you’re going to have pay a bit more, and should consider a device like the Apple Watch. If you’re really considering purchasing a Fitbit Charge 2, but still need some persuading, take a look at some further reviews and feedback, which will hopefully help you make a decision. When purchasing a product like this, you really need to consider how much you will use it, whether it suits your lifestyle and whether there is a better option on the market. That’s entirely down to you! For those of you who never read the instruction manual – which is probably all of you – you might miss Fitbit’s recommendation that you cinch up the strap while exercising. They recommend a looser fit throughout the day, but when it comes time to hike or run, tighten it up a notch or two to improve the accuracy of the readings.